The first time, Dr Dahoud al-Shobaki recalls, was when his son was born three months premature and turned blue from lack of oxygen in an incubator. Then there was also the time when he had a dangerously high fever at age four. But, the last five occurred in the span of two months this year. “I wish that I had been able to save my son’s life like I am used to … but the eighth time, it was God’s decree,” Dahoud tells Middle East Eye. As a retired doctor now turned public health consultant in the Gaza Strip, Dahoud, 56, knows the difficulties faced by wounded and sick patients in the besieged Palestinian enclave’s hospitals. 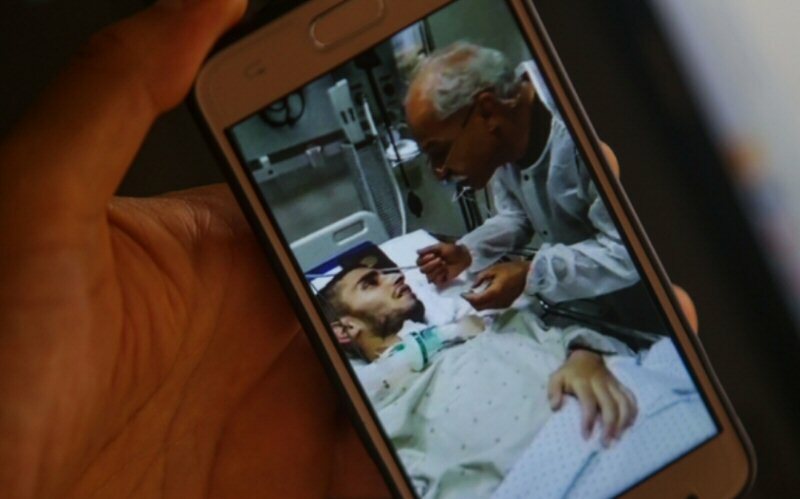 But despite the health scares he has faced over the years, nothing prepared Dahoud to witness first-hand the slow death of his son Sari, shot in the neck by Israeli soldiers in May, only to succumb to his wounds two months later. At only 22, Sari al-Shobaki dreamt of getting married and becoming a father. An enterprising young man, he worked hard to make his dream come true, working a series of odd jobs such as selling cold drinks and stockings or working at a photography studio. The second-eldest of eight children, Sari used his earnings to help out his family in the Daraj neighbourhood of Gaza City and to try to build a future for himself. At 10am on 14 May, the young man walked out of the house without telling his family where he was going. What exactly transpired then remains a mystery to his family until now. Dahoud’s phone rang an hour after Sari left home. On the other end of the line, someone told him that his beloved son had been killed by Israeli soldiers in Gaza’s buffer zone near Israel. That fateful Monday ended up being the single bloodiest day of the Great March of Return. Since 30 March, thousands of Palestinians have protested against living conditions in Gaza and called for the right of return for those Palestinian refugees whose families were displaced during the establishment of Israel. At least 58 died on 14 May after Israeli forces opened fire, with a further seven Palestinians later dying from injuries sustained that day. Many had come out to denounce the inauguration of the US embassy in Jerusalem, which happened on the same day. Dahoud rushed to the al-Shifa hospital in Gaza City, which was overwhelmed that day with casualties from the protest. The medical authorities did not have anyone registered under Sari’s name, so Dahoud combed every department of the medical centre for hours. Amid the chaos, he finally found his son lying in a corner of the reception area. On his chest lay a piece of paper marked “Unidentified”. He was in dire straits, but still breathing. Dahoud could barely control his emotions when he saw that no one was providing his son with medical care. “Oh Sari, how many hours you have been bleeding alone? Is this what you deserve?” he remembers asking. Dahoud immediately took matters into his own hands and saved his son’s life for a third time, transfusing 12 units of blood and infusing more than 100 saline solution units. Sari stabilised, but the bullet that penetrated his neck had hit his spinal cord, rendering him quadriplegic and leaving him with respiratory and intestinal paralysis. 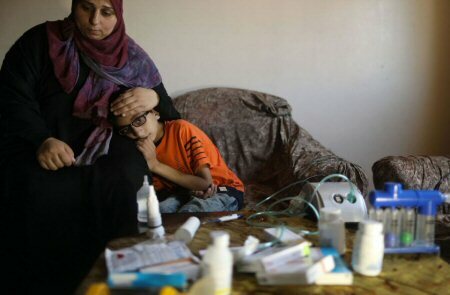 After 10 days at the al-Shifa hospital, all the doctors who examined Sari agreed that his condition was irreversible, especially given the limited medical care available in Gaza, where extensive power cuts and a shortage of medical supplies due to the 11-year Israeli siege have devastated its health sector. Dahoud, like many desperate relatives in Gaza, tried hard to find care for his son outside the enclave, a difficult process given the small number of medical exit permits granted by Israel to Palestinian patients. Finally, on 25 May, Dahoud and Sari were allowed to travel to East Jerusalem for treatment at the Saint Joseph hospital. Despite the diagnosis and the lack of proper medical care in Gaza, Dahoud did not lose hope. Father and son began communicating through eye contact: Sari would blink to say “yes” and raise his eyebrows to signify “no”. Soon, the two devised a more elaborate system of communication. Dahoud would recite the alphabet, and Sari would blink when he reached the desired letter, slowly spelling out his sentences. Dahoud would warmly encourage his son through rehabilitation exercises. Some sessions were filmed and posted online, prompting waves of support on social media. “One more time, love of my life, do you want to get out of here?” he would say, kissing Sari’s forehead as the young man would blink once for “yes”. Between 5 June and 5 July, Sari made a slow but promising recovery in the East Jerusalem hospital, Dahoud says, as he kept up his involvement in his son’s treatment. “I was checking on everything, even on his breath. I would massage him for three hours or more every day until I noticed that he was trying to move his neck,” Dahoud says. Dahoud could not believe the great improvements made by his son. But just as his condition looked hopeful, Sari’s health took a drastic turn for the worse. A tracheostomy operation to insert a tube into Sari’s neck to help him breathe did not go as planned, causing a tracheoesophagal fistula – an abnormal connection between his oesophagus and windpipe – and a drug-resistant bacterial infection. The fistula made it impossible for Sari to eat. Dahoud watched helplessly as his son withered away, knowing that he was hungry and thirsty yet unable to satisfy these basic needs. On 17 July, slightly more than two months after he was shot, Sari al-Shobaki died. “When Sari passed away, he hadn’t seen a single tear from my eye,” Dahoud says. “When I was with him, I held myself together completely. And I was strong, very strong. And I’m really happy about this, that Sari never saw me cry. “Sari’s spirits were as high as the sky, while my spirits were as low as the ground. I would leave him in the intensive care unit and go the waiting room to break down in tears,” Dahoud adds, his voice cracking. 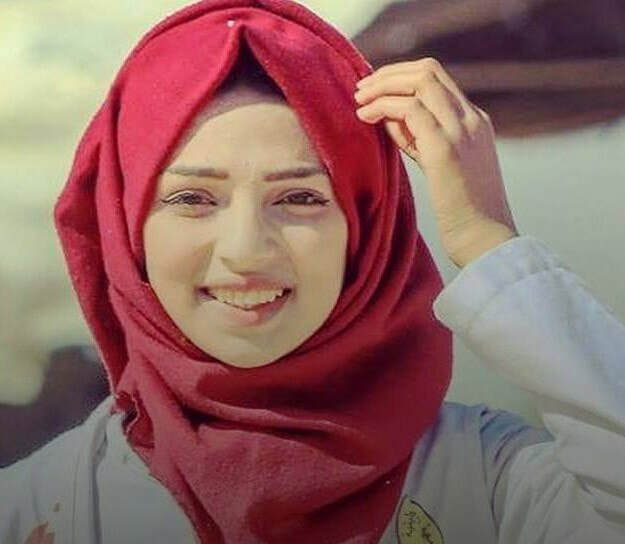 According to the Gaza health ministry, Sari was the 142nd Palestinian to be killed by Israeli forces in Gaza since the beginning of the Great March of Return. At least 25 more Palestinians have been killed in Gaza since, according to ministry figures. Despite the heartbreak and the grief, Dahoud vowed to move forward. The Palestinian Ministry of Health announced that medications were transported into the besieged Gaza Strip, on Monday, for the treatment of cancer. The Palestinian Minister of Health Jawad Awad, said in a statement that upon instructions from Palestinian President Mahmoud Abbas and Prime Minister Rami Hamdallah, medications were transported on Monday to the warehouses of the Ministry of Health in Gaza. Awad added that it is a basic right and a necessity to send the necessary cancer and pain medications to treat all Palestinians in all northern and southern districts. The ministry confirmed that the medications dispatched are enough for the next three months. 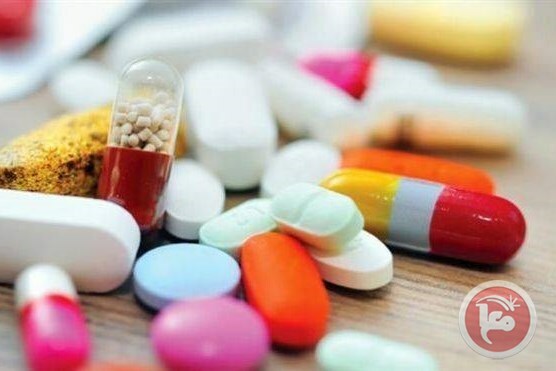 The ministry has been periodically sending shipments of various medications to its warehouses in Gaza, inlcuding last month's shipment of medications for cancer patients, which in addition to the shipment sent on Monday amounts to about 6 million shekels ($1,612,644). This decision came following reports from health officials in Gaza concerning major shortages of chemotherapy medications. According to health officials in Gaza, some 700 cancer patients, including 200 children, who were being treated at the Abdel al-Aziz al-Rantisi Hospital in Gaza, did not receive chemotherapy due to a shortage in medications needed to administer it. Director of the hospital, Muhammad Abu Silmiya, said that more than 45 of 60 chemotherapy drugs needed at the hospital, were already out of stock by Monday morning. 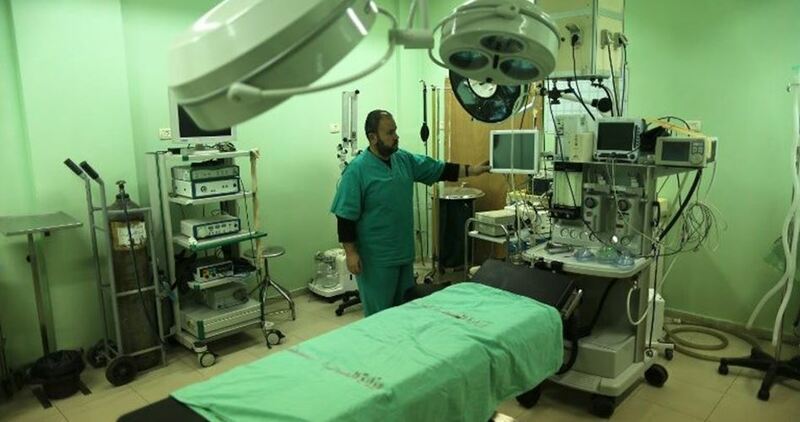 The al-Rantisi Hospital is one of two medical centers that providee chemotherapy in Gaza. 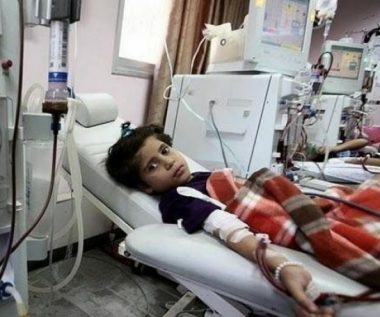 The Palestinian Ministry of Health stressed that it is working hard to provide all health services to the Palestinian people in the besieged Gaza Strip, noting that it continuously provides all hospital necessities, such as medicines and medical supplies, in order to maintain the health system and keep it from collapsing. The Palestinian Health Ministry is Gaza has reported that 80% of cancer medications in the besieged coastal region have depleted, an issue that poses imminent threats to the lives of the patients. Dr. Ashraf al-Qedra, the spokesperson of the Health Ministry in Gaza, has reported that the Rantisi specialized hospital, which deals with cancer patients, has run out of the drug, Neupogen, which is essential for the immunity systems of the patients, adding that, starting on Sunday morning (August 12th), all treatments will be suspended. Dr. al-Qedra added that the lives of hundreds of cancer patients in the Gaza Strip is at a real risk if the current drug crisis is not immediately resolved. On his part, Dr. Talha Ba’lousha, the head of the Oncology Pharmacy Department at the Rantisi Pediatric Hospital, said all treatments for colon and intestine cancers have been suspended after the main drugs, XELOX, FOLFOX, have run out. He warned that this poses very serious threats to the lives of cancer patients, who will have to wait for unknown periods until the medications are available, adding that many cancer patients are labeled by Israel as “security threats,” and are not allowed to enter the country for treatment. “The patients’ conditions do not tolerate waiting until they get the needed medicine, especially since several patients are banned from leaving the Gaza Strip, therefore, they have no option but to wait to be treated in Gaza,” he said, “This poses serious risks to their lives, and causes more pain and grief to them, and their families. 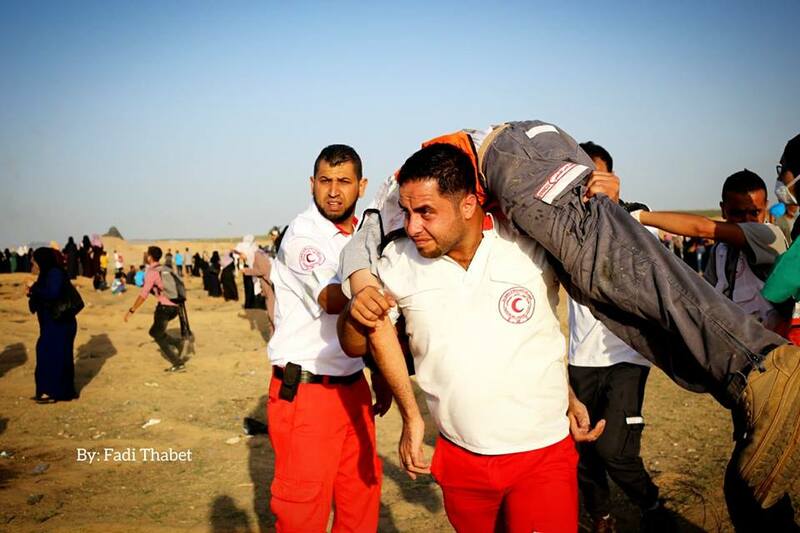 Dr. Jawad Awwad, the Palestinian Health Minister, issued a statement denouncing the ongoing Israeli excessive use of force against Palestinian nonviolent protesters, and condemning the fatal shooting of a Palestinian medic. 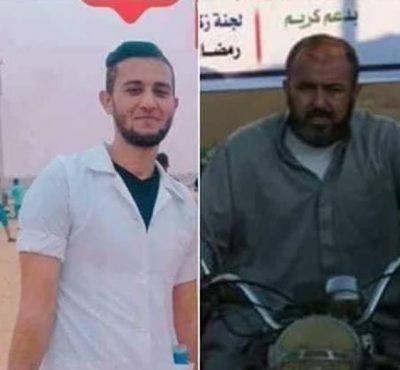 Dr. Awwad said the killing of medic volunteer Abdullah al-Qutati, 20, east of Rafah, and the targeting of medics, journalists and unarmed civilians, are serious violations of International Law and all related resolutions and treaties. He added that the soldiers have killed three medics, including a young woman, Razan Najjar, 22, since the Great Return March processions started on Palestinian Land Day, March 20th. He called on the International Community, all legal and human rights groups, to intervene and stop the seriously-escalating Israeli violations against unarmed civilians in Palestine. It is worth mentioning that the soldiers have killed 170 Palestinians, including 25 children and three women. The army also continued to target ambulances and medical teams, including attacks with live fire and gas bombs at make-shift clinics. Besides killing al-Qutati on Friday, the soldiers also killed Ali Sa’id al-‘Aloul, 55, and injured 307 Palestinians, including 85 who were shot with live fire. Israeli forces have opened fire on Palestinians taking part in a protest in the area between the occupied territories and the besieged Gaza Strip, leaving two people killed. The spokesmen for the ministry, Ashraf al-Qidra, added that Israeli forces also killed 55-year-old Ali Saeid al-Aloul east of the city of Rafah in southern Gaza. According to the ministry, at least 170 Palestinians, including medics and journalists, were also injured during the protest. Israeli fire has taken the lives of nearly 160 Palestinians since March 30. Nearly 15,000 Palestinians have also sustained injuries, of whom at least 360 are reportedly in critical condition. On Thursday, Israeli aircraft bombed a multi-story building in Gaza City amid threats of another full-scale military offensive against the besieged coastal enclave. 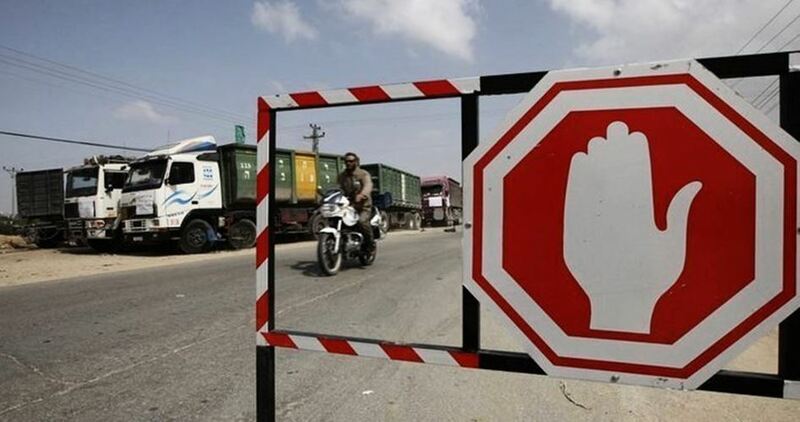 UN Humanitarian Coordinator in the Palestinian territories Jamie McGoldrick on Wednesday called on Israel to immediately allow the entry of UN-purchased emergency fuel into the blockaded Gaza Strip. “Restricting the entry of emergency fuel to Gaza is a dangerous practice, with grave consequences on the rights of people in Gaza,” McGoldrick said in a statement. The UN coordinator said Gaza “desperately needs long-term solutions so we can move past this cycle of repeated or worsening crises, including that Palestinian authorities prioritize provision of fuel for essential services”. McGoldrick went on to call on donors to fund emergency fuel for Gaza “in order to avoid a disease outbreak or other major public health concern”. According the United Nations, at least 60,000 litres of emergency fuel should be delivered immediately to some 46 critical facilities across Gaza in order to ensure the basic functioning of main hospitals and essential water and sanitation services for the coming four days. The UN has warned that fuel stocks in Gaza are currently enough for only 1-2 days and that some 1.2 million Palestinians are at imminent risk of possible sewage overflow around the 41 main sewage pumping stations in the Palestinian territory. The Gaza Strip, home to nearly two million Palestinians, has been reeling under a crippling Israeli blockade since 2007. At least 769 Palestinian patients have been denied exit from the blockaded Gaza Strip by Israeli authorities, since January, Israeli media reported this week. The applicants included Palestinians who sought medical treatment for diseases such as cancer. Israeli authorities cited first-degree relations between the applicants and Hamas members, for denying them exit from the seaside enclave. Since 2007, the Gaza Strip has groaned under a crippling Israeli blockade that continues to deprive its inhabitants of many essential commodities, including food, fuel, medicine and building materials. Israeli intelligence has reportedly been exploiting exit permits to blackmail Palestinians for security information, while many others are being detained at Israeli access points despite holding permits. 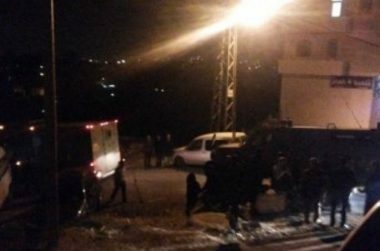 Several Israeli army jeeps invaded, on Saturday evening, Beit Ummar town, north of the southern West Bank city of Hebron, injured four Palestinians, including a medic, and caused scores to suffer the effects of teargas inhalation. Mohammad Awad, a local media activist in Beit Ummar, said the soldiers invaded many areas in the town, especially Mothallath al-Ein area, and attacked many Palestinian youngsters, who protested the invasion. Awad added that the soldiers shot three young men with rubber-coated steel bullets; one in his neck, and two in their legs and arms, in addition to causing many others to suffer the effects of teargas inhalation. He also stated that the soldiers fired rubber-coated steel bullets at a car of a local medic, who rushed to render aid to wounded Palestinians, before a bullet smashed his car’s front shield, causing him to suffer various cuts and bruises, especially to his face. Israeli forces injured four Palestinian civilians on Saturday, during confrontations which erupted in the occupied West Bank. Three Palestinian youth were shot and injured by Israeli soldiers after the latter raided the town of Beit Ummar, in the southern West Bank, according to local sources. Mohammad Awad, a local media activist, told WAFA that Israeli soldiers fired rubber-coated rounds at the protesting youth, injuring three of them in the foot, neck and hand respectively. He said a paramedic was also lightly injured from the shrapnel of the bullets fired by the soldiers. Additionally, on Saturday evening, a photographer was injured after being shot by Israeli soldiers while they were attacking Palestinian protesters in the village of Kafr Qaddoum, near Qalqilia city, in the occupied West Bank, according to local sources. Lo’ai Samhan of Palestine TV was reportedly injured during the events in Kafr Qaddoum, and was moved to a nearby medical center for treatment.